Above: Maynard Firefighter Sean Kiley is awarded the Norman Knight Award for Community Service by Massachusetts Governor Deval Patrick. Above: Maynard Firefighter Sean Kiley poses with his Award with Maynard Fire Chief Anthony Stowers and Maynard Fire Captain John King. 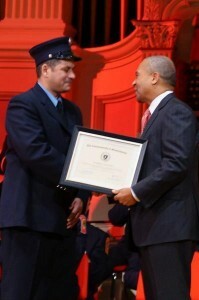 Sean Kiley, a veteran firefighter with the Maynard Fire Department, has been awarded the 2012 “Norman Knight Award” for Community Service. This prestigious award is given for exemplary programs or actions in community service or public education. In addition to his regular firefighting duties and responsibilities Sean has coordinated the public education activities for the Maynard Fire Department for a number of years. Sean oversees the departments Student Awareness of Fire Education (S.A.F.E) Program. This is a grant funded program whereby local fire departments deliver Fire Education Programs to students from Kindergarten to Twelfth grade. This past year Sean also worked with other local and regional agencies in coordinating a driver awareness drill for Maynard High School Seniors, a safety day for over 300 children from Maynard, Acton and Stow and organized the Maynard Fire Department’s annual Open House. Sean has also been working to develop a Senior Expo, slated for March, to give our senior citizens health and fire safety tips. 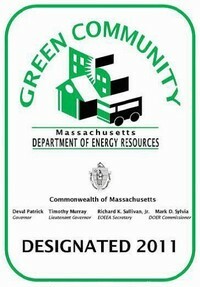 Sean was also instrumental in the final development phase of a Voluntary Home Inspection Program that kicked off in Maynard on October 13th. Sean began his career with the Maynard Fire Department in 2001 and has lived here in Maynard since moving here as a child in 1978. Sean and his wife Diane have 2 sons, Bryan aged 15 and Eric aged 14. 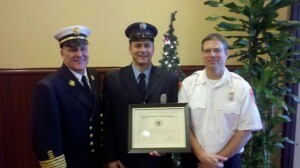 Sean received his award on December 18th, 2012 at a ceremony in Worcester.